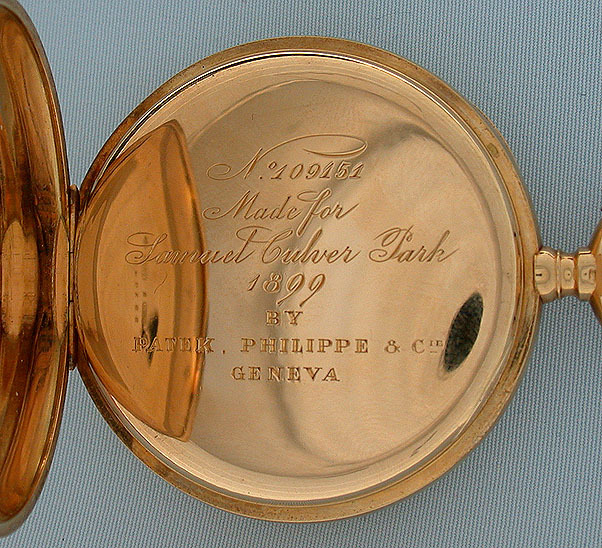 Fine Patek Philippe 18K gold 20 jewel antique pocket watch with Guillaume balance made for Samuel Culver Park circa 1899. 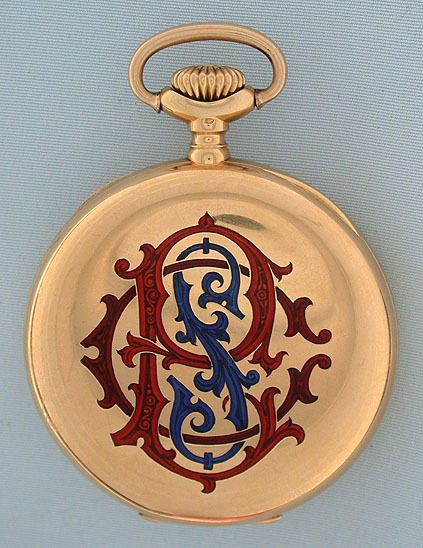 White enamel dial (minor glaze scratches) with red and black numbers and fancy gold hands. 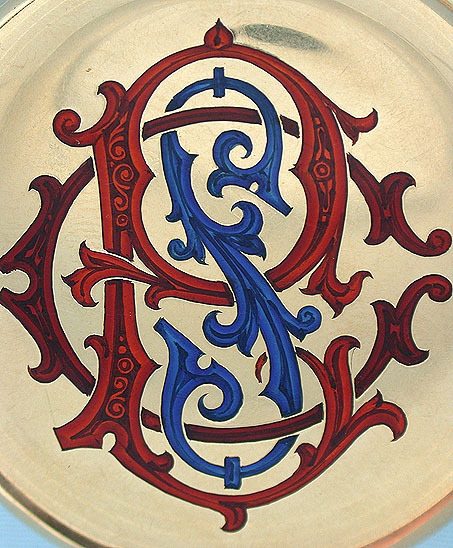 Plain polish case with particularly attractive polychrome enameled monogram and inscribed dust cover. 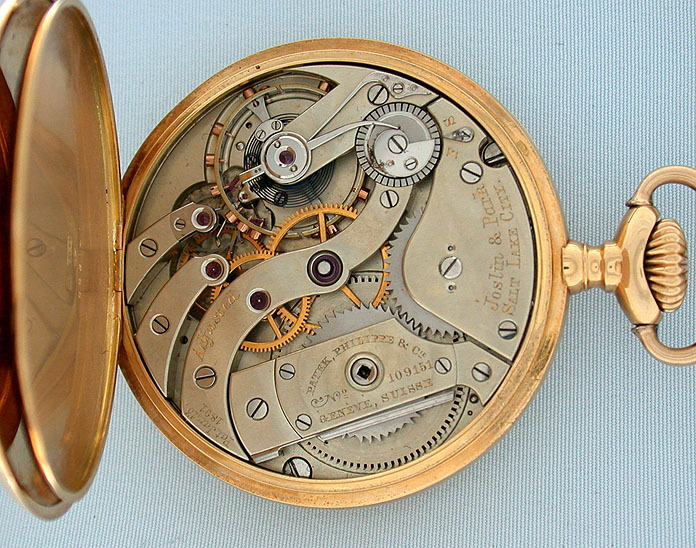 Nickel 20 jewel movement with Guillaume balance, wolf's tooth winding, and precision regulator. Ratchet wheel with one broken and three worn teeth. Samuel Culver Park was a founder of the Utah and Denver jewelry firm Joslyn & Park, the mayor of Salt Lake City, and later a Utah State Senator.